What to expect at today.church? You are welcome here! 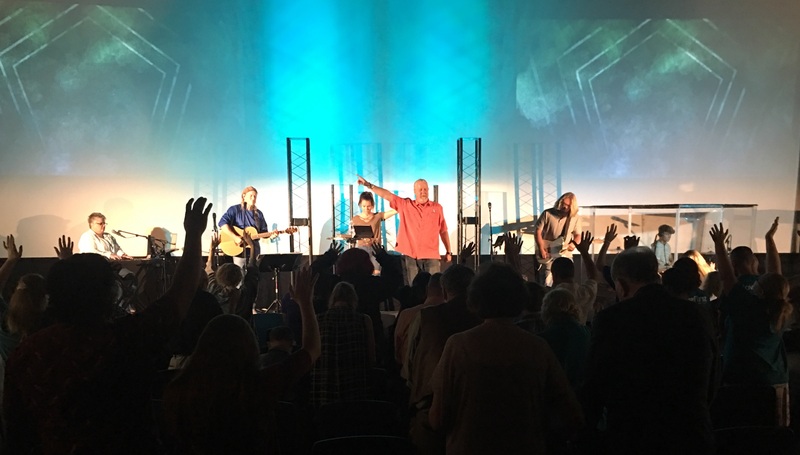 What’s church in a theater like anyway? Here’s what to expect when you arrive at Today.Church. All you have to do from here is come as you are and find out for yourself! Engaging and relevant Biblical messages – all about following Jesus, #lovefirst. Live, in person teaching from the lead pastor. Fun teaching for your kids. Yup. They have their own theaters. Lots of teal t-shirts! And those people are serving because they want you to feel welcome! Nope. Most people dress casually. But if you like to dress up for church, that works too! — just don’t mind the flip flops. If you are a first-time guest, you won’t be asked to stand up or to give money – you won’t even see an offering plate! Many people want to check things out and be “anonymous” for a while. That’s fine with us! Come in, enjoy the experience and see if this is the church for you. At Today.Church your children are a top priority. t.c/tykes nurseries and classes are clean, safe and staffed with loving workers ready to care for and teach your little ones. t.c/kids 1st-5th grade, features dynamic teachers, music and curriculum that will keep your kids excited and engaged while learning about Jesus! t.c/youth, meeting on Wednesday evenings, is a life-changing ministry, with food, fun and Jesus! All students grade 6 and up are invited! There are many ways to get involved. You can begin by attending NEXT. smallgroups are another great way to connect. Life is better together! Be sure and like the Facebook page and join the information Facebook group. That’s a great way to connect too! What if I'm not sure about all this JESUS stuff? Perfect. That’s why we started this church. You can explore faith at your own pace. We’ve all had doubts at some point. Ask questions if and when you are ready. No rush, no pressure. Click here for information about following Jesus. Join us online Sunday Mornings at 10:00am on Facebook Live – a full stream of our services including music, messages, baptisms and more. Reading this any other time than Sunday morning? You can watch previous services, anytime!